On TNT right now. Tell me the font in the middle of the court isn't our exact font. Their "S"s have angles on the ends whereas ours are flat. Also, the dark orange and light orange are in opposite places. 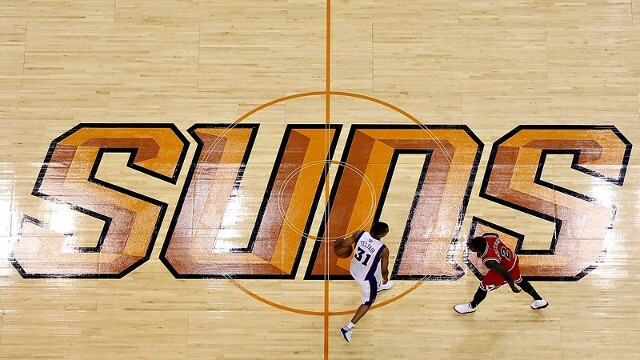 I've said all season we need to make our court look similar to the Suns. I love the look. The fonts aren't close, really. One look at the U and S confirms that in addition to the overall obvious difference in design. It is styled similarly, but that's not the same thing as font. 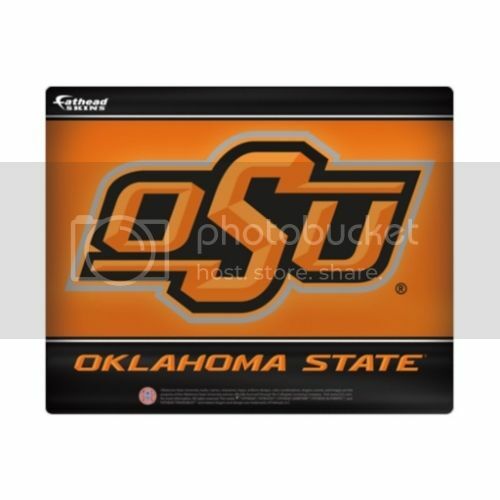 OSU uses a proprietary font called okSTATEu that OSU Marketing created. FWIW, people around the net mentioned the similarity in their new court design when the first images were came out around September. The new court design was supposed to accompany new uniforms, but I believe Phoenix missed a deadline. Design intent is pretty clear though. Shame they are abandoning the purple a little bit. Loved the combo for them. Okay so I guess I didn't really mean "exact" because it obviously isn't "exactly" the same, but it is pretty darn close. The slant, the blockiness, the shading. Just look at the hooks in the S. It is almost identical. And yes, I also know that an S on its own in our font doesn't have a hook (see below full spelling of Oklahoma State), but as it appears in the brand. Just saying, the similarities are glaring. And no I'm not complaining. Just find it interesting. I think it's really neat that it reads the same from both sides of the court. Interested to see the new unis. I always am afraid because of some of the weird unis that come out these days. Google 'Toronto Raptors baseline logo"
I saw a game on TV last weekend where they had that. (Wasn't the Raptors) I kept flinching every time a player would make a layup because it looked like they were going to come down on that thing and shatter their ankles. Then I figured out it was all sci-fi. They do the same thing in some European stadiums for soccer. They lay a banner down a little behind the goal line and on TV it looks like it's a pop up board or something. That Raptors Logo is alot like they have in soccer. I was goin crazy one day trying to figure out how the ball rolled through the standup ad board. It looks really ugly to me. To each their own.